Whether you’re a cotton farmer, operate a cotton gin, or are an OEM who services any of the cotton gins throughout West Texas and the cotton belt, you know that once the cotton harvest is underway and cotton modules arrive that need to be processed and processed quickly, that when equipment failures happen, it’s a real emergency that can mean huge delays in production due to a complete shutdown of your gin. Delays in any part of the cotton production process can translate to huge losses and for smaller companies can mean bankruptcy and the end to your business. So what are some things you should look for when it comes to deciding on a supplier of parts and systems for your cotton gin whether it’s a motor or drive issue or you need something like new conveyor components? Here in Lubbock, TX, the main hub of the cotton industry, you’ll find lots of businesses who supply replacement parts to cotton gins, or who build conveyor systems for the entire cotton production industry. However, not every business will have nearly 80 years, that’s almost a century of experience, in the area and the industry. Plus, these days, you might find supply companies whose main headquarters and inventory aren’t in the United States, let alone Texas or another state in the cotton belt. How can a company whose warehouses are in India or another foreign country get a part to your gin within hours or even minutes when you experience an equipment problem? Most supply companies might deliver, but only during “regular business hours,” meaning their office hours. But so-called “business hours” for a cotton gin during the season are 24 hours a day, 7 days a week. Because your or your client’s cotton gin operates around the clock, you need to know that even if there’s an equipment failure at your gin at 3 am, you can reach your sales representative and get the necessary part or component delivered on-site as quickly as possible so shutdowns can be avoided or shortened and you avoid costly interruptions in production. Let’s go back to experience. If you’re dealing with a non-local supplier or an inexperienced supplier, they won’t have established relationships with local manufacturers and local OEMs who can make more customized parts and components or OEMs and contractors who can help maintain your cotton gin and who can make sure we get the right parts to your business when you need them, and remember, that means 24 hours a day, any day of the week. When you’re deciding on a parts and components supply service for your cotton gin, you want to know that no matter what part or system might fail, that the piece you need to repair it will always be in stock, and never back ordered. A good supply service will maintain a vast selection of parts and components, whether that’s a hard to gear or motor, or it’s the most commonly ordered conveyor component so that customers like you never have to shut down a gin due to back ordered equipment when something goes wrong. Sometimes you need a specially designed conveyor system or another type of system for your gin. Whether you’re building a new gin from the ground up, or you’re updating an older one, finding an experienced supplier with an in-house engineering service that has decades of experience designing conveyor systems for all capacities of cotton gin is crucial. That way you can feel confident knowing that your system will run smoothly and efficiently and that it’s right for your specific gin. When your gin breaks down, it’s as catastrophic as an airport shutting down. That’s why you need to make sure your supplier is local, experienced, has great relationships with suppliers and OEMs in the area, maintains a large stock of parts and components for all types of cotton gins, and especially one that will deliver you replacement parts and components any time of the day or night so you can prevent costly gin shutdowns and equipment failure emergencies. 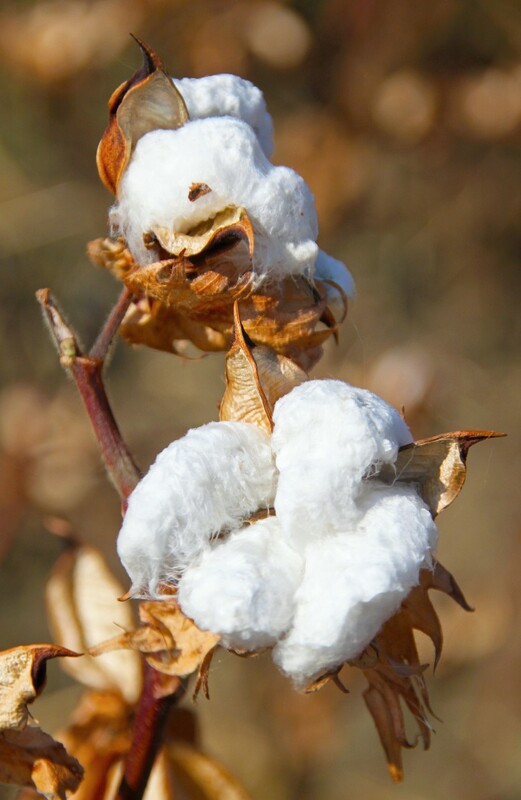 Have questions about what you should look for in a supply company for your cotton gin? Want to learn more about our 24-hour service promise? Leave them in the comments below or contact us today. What Are Mechanical Bearings and How Do They Work? What’s the Future of Fabric?